Wildlife is Mother Nature’s greatest treasure, to protect it, we must take every measure. 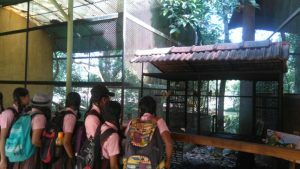 Students of the Eco club are often exposed to a variety of activities and field trips in order to enhance their hands on learning experience. 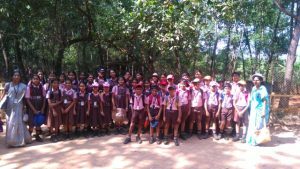 With an objective of sensitizing students about the animal kingdom and various existent species, students of the Eco club were taken for a fieldtrip to Pilikula Biological Park on 15 December 2018. 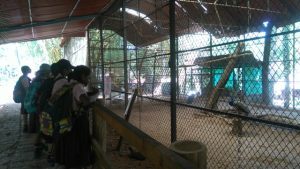 The students boarded the bus at 10.00am and arrived at the zoo at 10.30am. 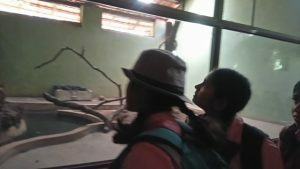 Jumping with excitement, students witnessed numerous animals which they had only seen on their television – from tigers to leopards, lions, alligators, crocodiles, deer, foxes, snakes etc. Students got a chance to closely observe each animals present. Our children beamed with joy as monkeys jumped from one branch of the tree to another. 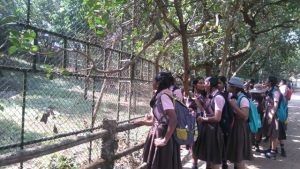 Not just animals, students even encountered some never seen before birds like Ostrich, white peafowl, plum headed parakeet, silver pheasant, ducks etc. After for a long distance students had their snacks and rested for sometime on the grass. During their journey back to school children shared their experiences of the fieldtrip.